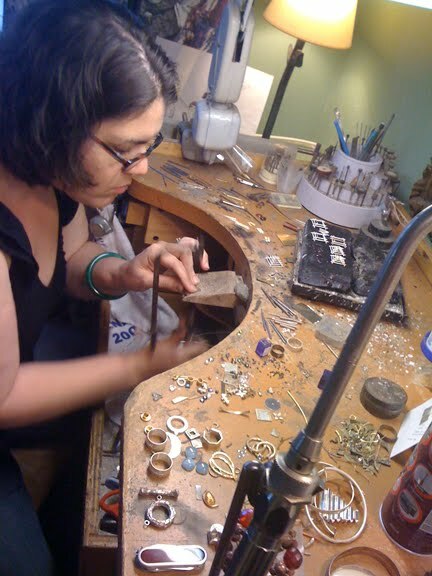 The photos below show jewelry artist Cristina Hurley working in her home studio. 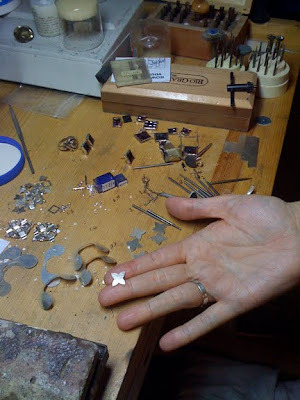 Cristina is a metalsmith who creates fine silver jewelry. All her designs are original, she fabricates all her own parts for her work, and she does beautiful custom jewelry too. The members of Boston Handmade have an informal gathering every month to discuss any group business that has come up, relay news of recent projects we are working on, share resources and stories related to being independent professionals in the arts, and generally have some 'face time' to chat about what we do. The part of these gatherings that I most look forward to is visiting different work spaces. Each month we meet up in a different location throughout Massachusetts. 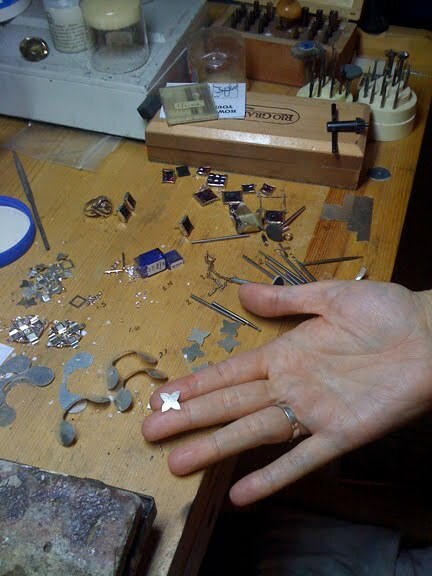 All the members of Boston Handmade are invited to host a monthly gathering, and it's always a real treat to get a peek into each artist's creative process by seeing how they work. Thanks for welcoming us into your home and studio Cristina!